Kansas City homeowners are always looking for the best ways to save money on their utility bills. Owning a home comes with significant responsibilities and even higher costs. With some homeowners, finding ways to lower their energy and water usage each month is crucial. From showering at the gym to installing LED lighting, all of these things can definitely help. In order to really save on energy costs, finding highly compelling energy solutions can make all the difference. 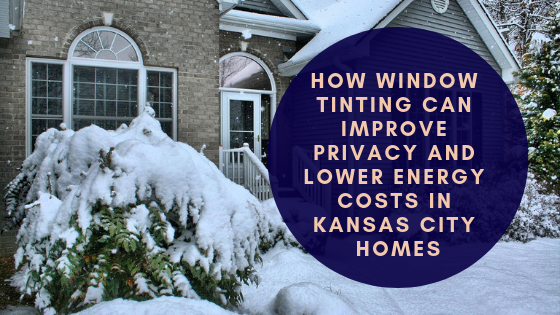 Window tinting is an incredible ROI that offers lowered energy costs in addition to better privacy. Window tinting offers a modern approach for achieving true privacy for homes. There are countless reflective properties, hues, finishes, and styles available, allowing homeowners to really customize the way they want their exterior to look. Modernizing the exterior of your property can definitely improve curb appeal. Window tinting eliminates the need for tacky window coverings while providing great sunlight and visibility into your space. The great thing about window tinting is the energy efficiency options that offer considerable savings for homeowners all year-round. This also eliminates cold/hot spots while delivering great comfortability throughout. Window tinting also offers UV protection and glare reduction benefits perfect for any home. 3M™ Sun Control Window Film for Kansas City Homes from Kansas City Green Window Film on Vimeo. GreenLight Window Films has state-of-the-art computer-aided design software that can produce finalized images of your home with different window tinting options installed. This allows homeowners to really make the best decision regarding the exterior of their property. We offer complimentary in-home consultations in order to discover your priorities and needs for your window tinting project. We work with all the best window film manufacturers so that you have a wide array of solutions to choose from. For more information regarding window tinting, please contact us!